One of the most relaxing chairs we offer. With luxurious leather and coil cushions, this chair stands apart from the rest. It features elegant shaping in the arms and beautiful turned legs. Nail head trim accents the arm panels and front rail. The L171250 Craftmaster Traditional Leather Chair by Craftmaster at Zak's Home in the Tri-Cities, Johnson City, Tennessee area. Product availability may vary. Contact us for the most current availability on this product. 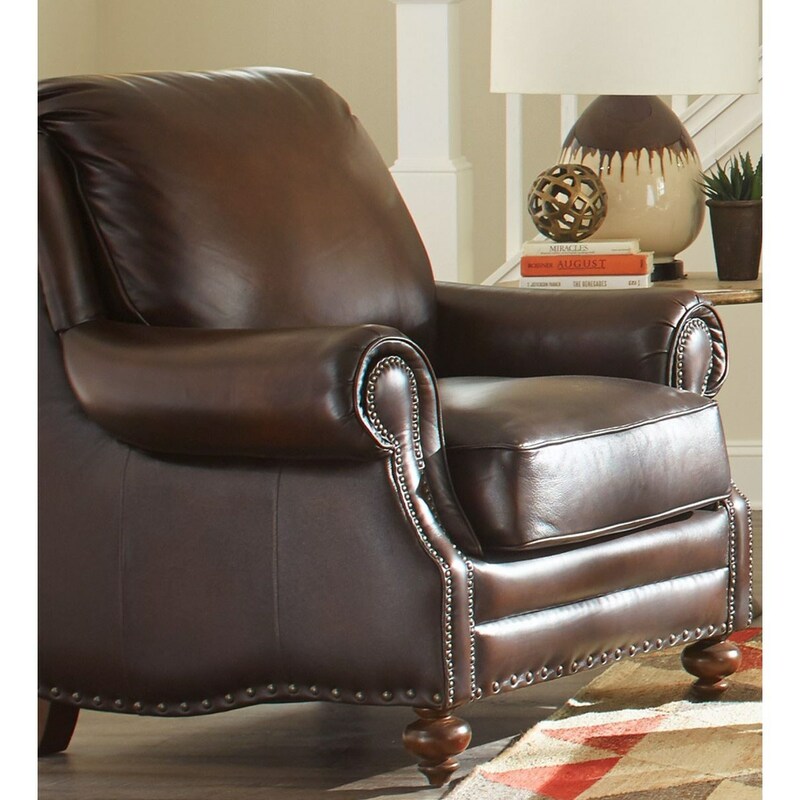 One of the more stunning collections due to its top grain leather, coil cushion seating, and nail head trim. In our opinion, the true definition of what it means to be traditional style. This set exemplifies everything that is right in traditional furniture. The L171250 collection is a great option if you are looking for Traditional furniture in the Tri-Cities, Johnson City, Tennessee area. Browse other items in the L171250 collection from Zak's Home in the Tri-Cities, Johnson City, Tennessee area.